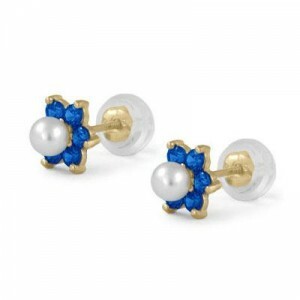 Children 14k yellow gold jewelry for girls of all ages. 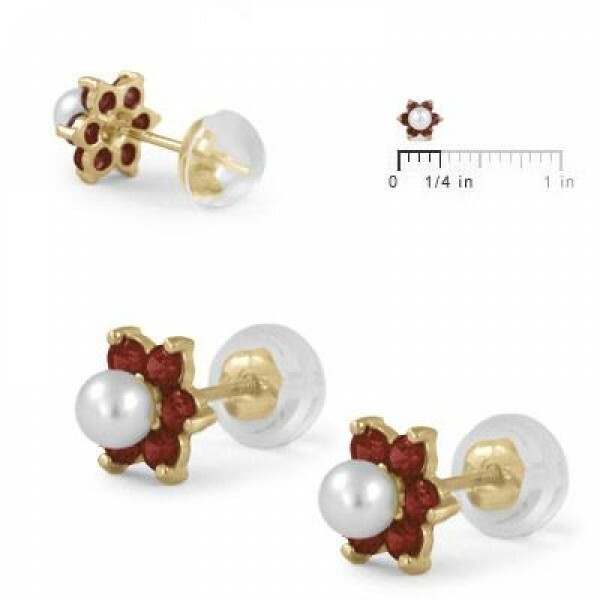 Each stud earring features a 3mm Swarovski crystal to simulate a pearl surrounded by 6 red cubic zirconia to simulate January birthstone in a flower shape. 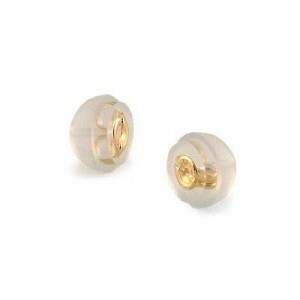 14k yellow gold core silicone push on back is comfortable, easy grip, safe and secure, suits kids with short post.